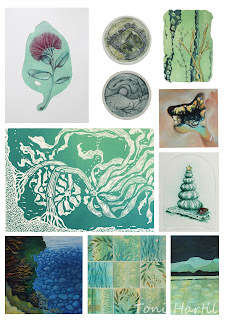 Toni Hartill Art: Artist Studio Clearout Sale! Less than a month away till the annual studio clearout SALE!! 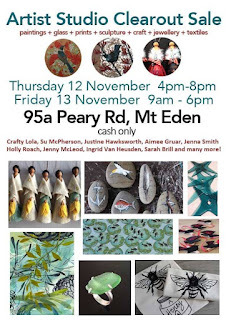 A whole bunch of arty girls get together with all their seconds and samples and fabulous bargains!! 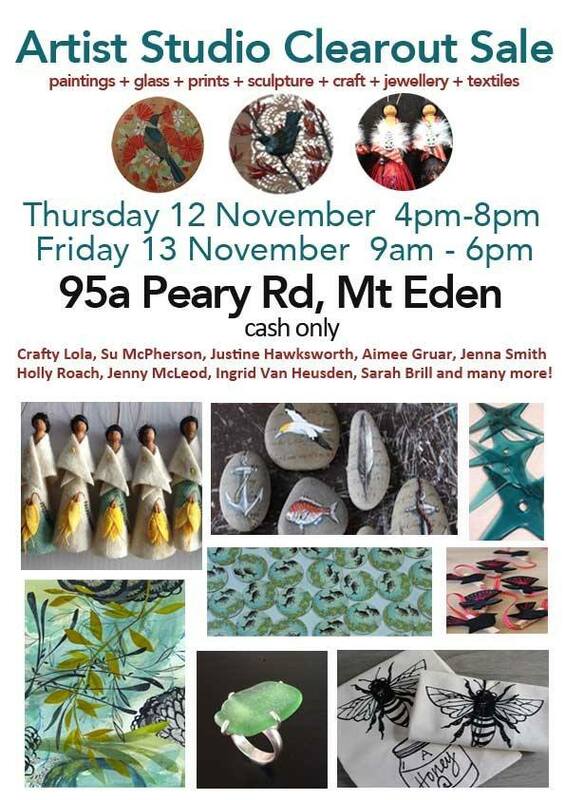 Pass the word on - its a great chance to shop for Christmas and birthdays and an excellent place to nail those end of year teacher/thank you gifts as well as an opportunity to pick up some great art! Here's just a taster of some of the work I will be including in the sale, all at marked down prices. I'm also including some extras such as some of my crocheted Nest brooches, the remaining few Lubi Lids Hats (some of you may remember me making and selling these at the Titirangi Market while my kids were little), and perhaps even some of my little knitted kete, amongst whatever other bits and bobs I can hunt out. Maybe even some crocheted Nudibranchs!! Psst: please pass this on to all your friends, family and work colleagues, etc. Maybe even drop some big hints for yourself for Xmas!